The Servo Reverser has been designed for situations where you are forced to use a “Y” lead, e.g for ailerons where the second servo is going in the wrong direction. The reverser is fitted with a button that allows you to adjust the neutral to match the neutral of the first servo. The Servo Reverser has been design for situations where you are forced to use a “Y” lead, e.g for ailerons where the second servo is going in the wrong direction. The reverser is fitted with a button that allows you to adjust the neutral to match the neutral of the first servo. 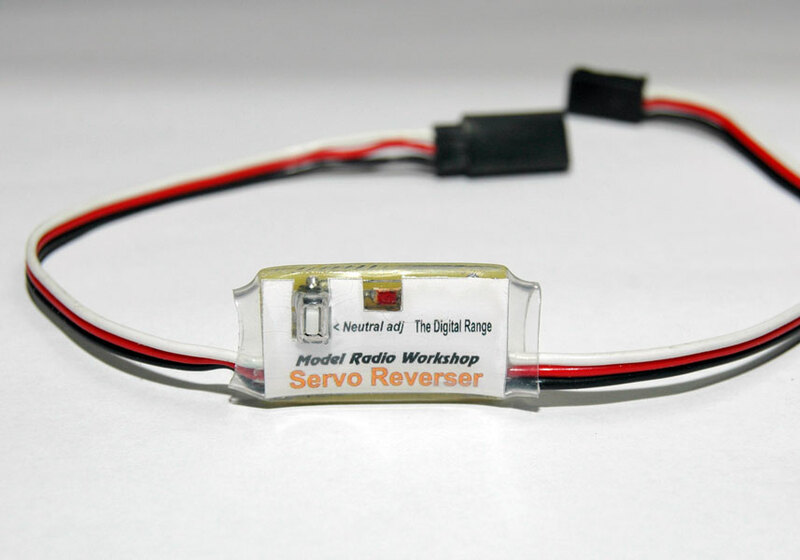 Plug your servo into the flying lead on the Servo Reverse Unit. Plug the other Servo Reverse Unit lead into the selected channel on the receiver. The servo will operate with full travel but in the reverse direction. 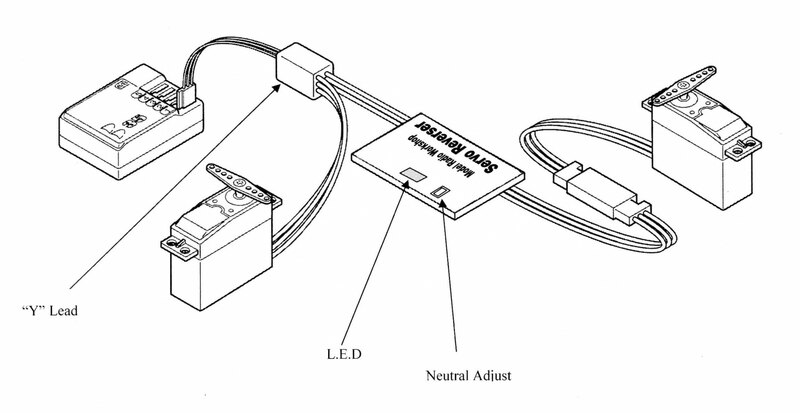 With the stick at neutral, use the set key to move the servo neutral to the required position. The servo will move one step each time the key is released. When the limit of the adjustment is reached for one direction, the movement will reverse to move in the opposite direction. If you accidentally go past the desired position, it will be necessary to round the loop again. The neutral can be adjusted over a range of about 10% of travel. If you wish to change the neutral point at any time, simply repeat the set-up procedure.